This portal contains all the information collected by the ENRD Thematic Group (TG) on Smart Villages. It provides links to the many inspiring initiatives and networks across Europe that are exploring new ways of revitalising rural areas through social and digital innovation. Smart Villages are “rural areas and communities which build on their existing strengths and assets as well as on developing new opportunities”, where “traditional and new networks and services are enhanced by means of digital, telecommunication technologies, innovations and the better use of knowledge”. Share your Smart Village project! Click here. Become a member of the Thematic Group! Register here. 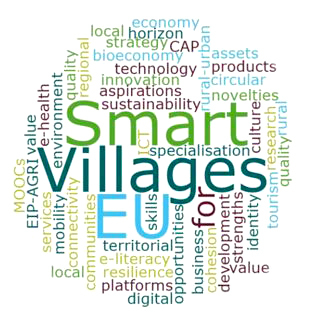 Join the ENRD Smart Villages Community on Facebook.